Unless you live underground, it’s likely your skin has experienced damage from the sun’s UV rays. 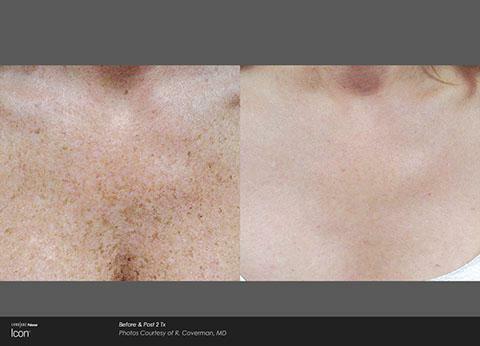 If you want to look younger, non-invasive IPL treatments can help minimize the effects of sun damage on your skin. The Icon’s gentle intense pulsed light (IPL) technology blasts away undesirable dark spots, hyperpigmentation, and freckles. 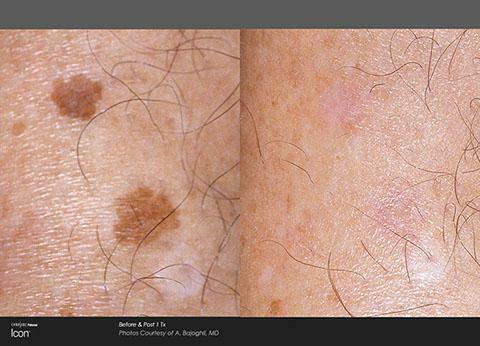 How Do Laser Dark Spot Treatments Work? 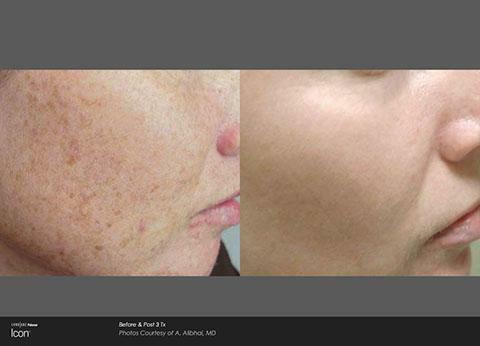 IPL photo facial treatments only last about 30 minutes. Depending on the patient’s goals, more than one session may be recommended to achieve the best results. 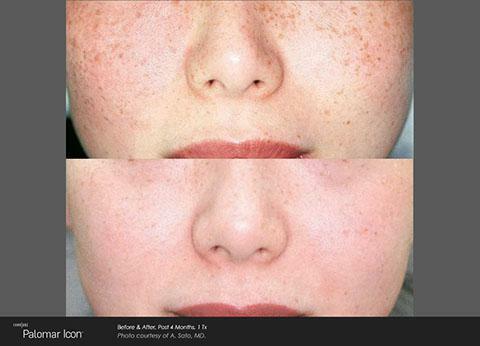 IPL treatments are not considered painful, and anesthetic is not usually needed. Best of all, there are few side effects which typically include a sunburn-like sensation and some swelling. Many patients are able to resume their normal activities immediately following in-office treatments without experiencing any downtime. You can look your best with Icon photofacial treatments! Contact Le Santé du Miroir Laserplasty today to schedule a consultation.